I think we’re all guilty of eating raw dough or batter when baking goods. I mean, honestly, sometimes the dough is better than finished product itself, am I right? 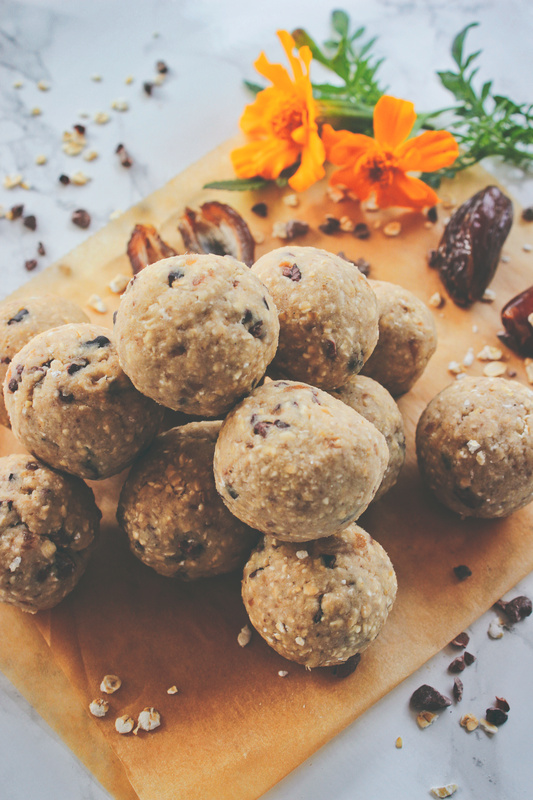 These cookie dough balls are the perfect snack to meal prep on a Sunday and enjoy throughout the week. Pack a few of them in your lunchbox, and you have something to look forward to on an otherwise boring school or work day. 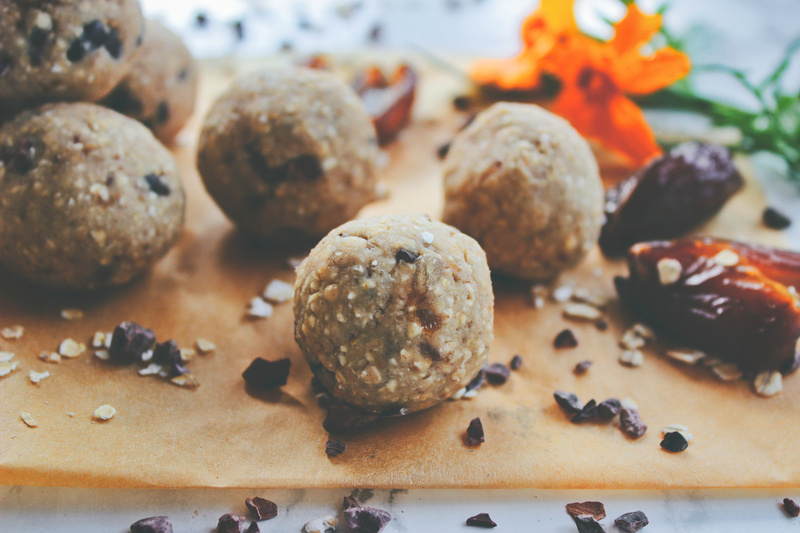 They’re made with 3 main ingredients: lima beans, oats, and dates. 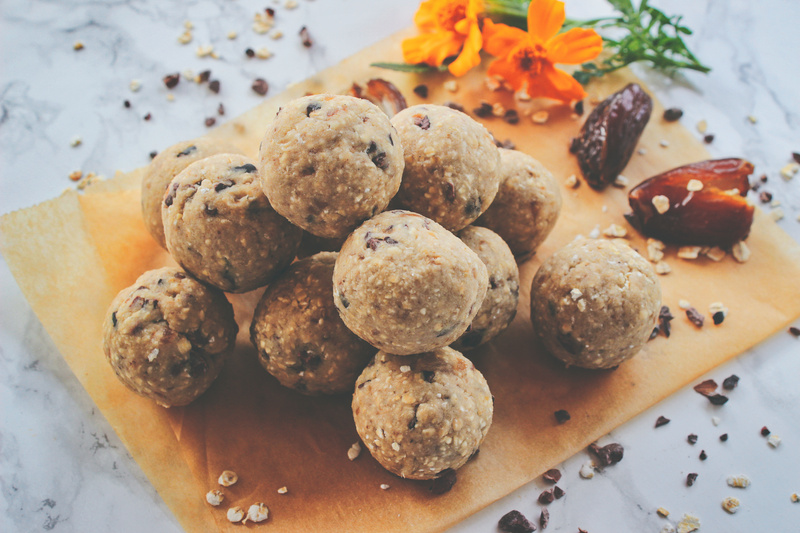 I know beans are an unusual ingredient in cookie dough, but trust me, it works! 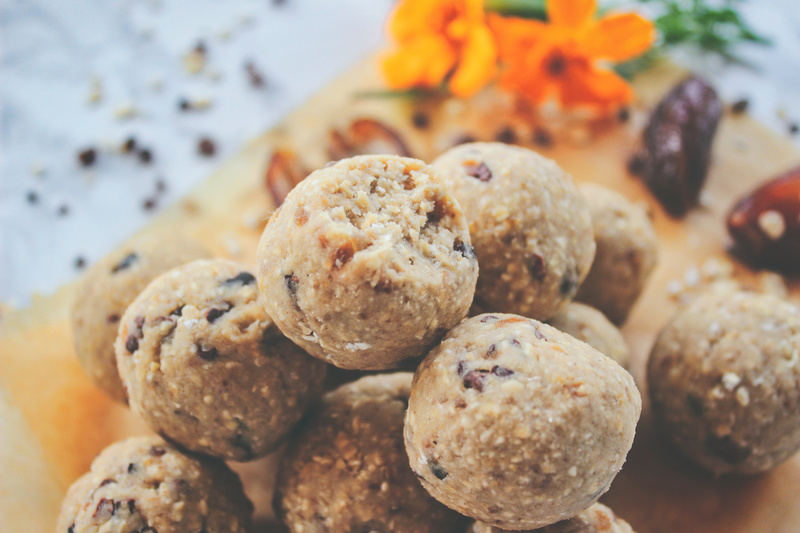 The lima beans give these cookie dough balls the perfect chewy texture. And as you can see, my pictures have gotten a new look! Marble, oh, so fancy… no. It’s not. I got a marble background for 100 DKK or $15 at a hobby store. It doesn’t have to be super expensive. But I do like the new look. Now I have one background. Let’s give it a few years, maybe I’ll have one hundred by then… wishful thinking, I know. I’ve started using my notebook more, and I hope it can help with all my ideas for my blog. Yes, I have a lot. The problem? I have too many! I get overwhelmed, and I always come up with a new idea and get caught up on it before I’ve even started on the last one. Now for a completely different topic… my new guinea pigs! They’ve been with me for over a month now, and they’ve definitely gotten more used to their new family. I know I promised to make a blog post about them, but they’re still settling in, and I don’t think a camera in their face would help the process. And another announcement: I’m going on a trip to Copenhagen soon. If I’m up for it, I might write something about my stay since I’ll be eating at at least one vegan restaurant, and that’s always a treat! 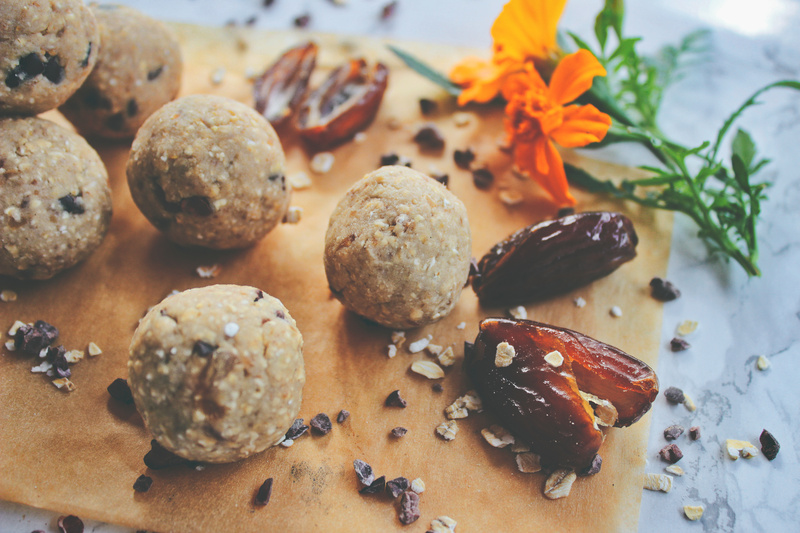 But anyway… I hope you enjoy these cookie dough balls. I really like them, and I would make them a lot more often if I wasn’t too lazy to clean my food processor. If you decide to make them, take a picture and tag me on Instagram (@spirendeveganer)! I would love to hear your thoughts about them and see your recreations. And use the #spirendeveganer! Add the lima beans, dates, cashew butter, maple syrup, vanilla powder, and plant-based milk to a food processor or blender and process on high speed for 30 seconds, or until the mixture is smooth, pausing and scraping down the sides as necessary. Scrape the mixture into a bowl and mix the oat flour into it, making sure there's no dry patches of flour left. Fold the cacao nibs into the cookie dough. 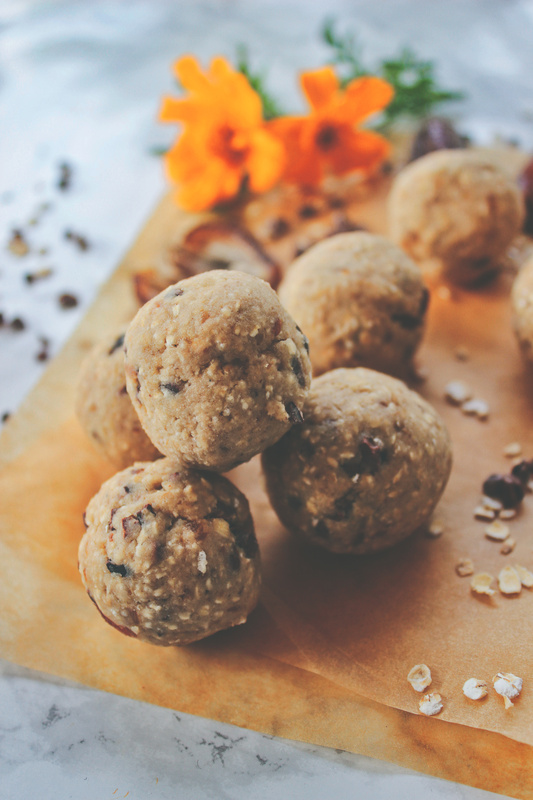 If you want to, you can refrigerate the cookie dough for 10 minutes to let it set before rolling it into balls. 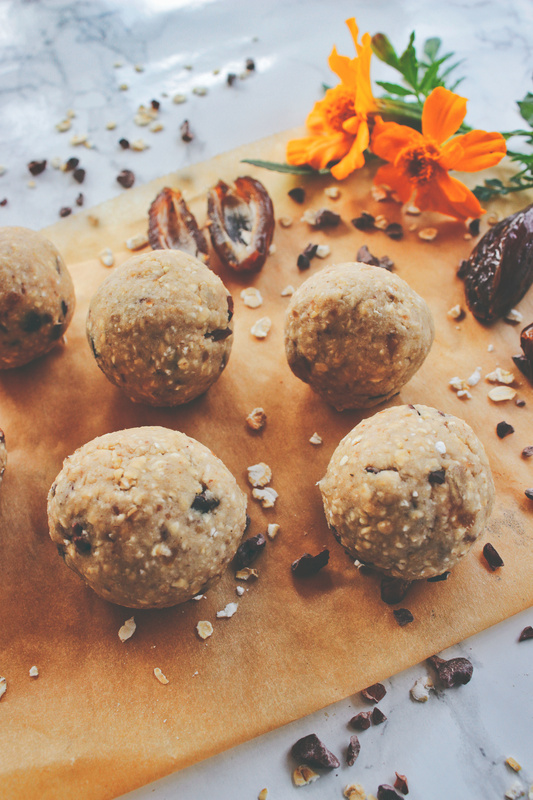 Form the cookie dough into balls between your palms. 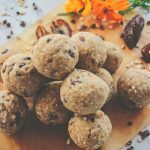 I use a tablespoon of the cookie dough per ball, but you can roll them as small or large as you prefer. I formed 25 balls in total. 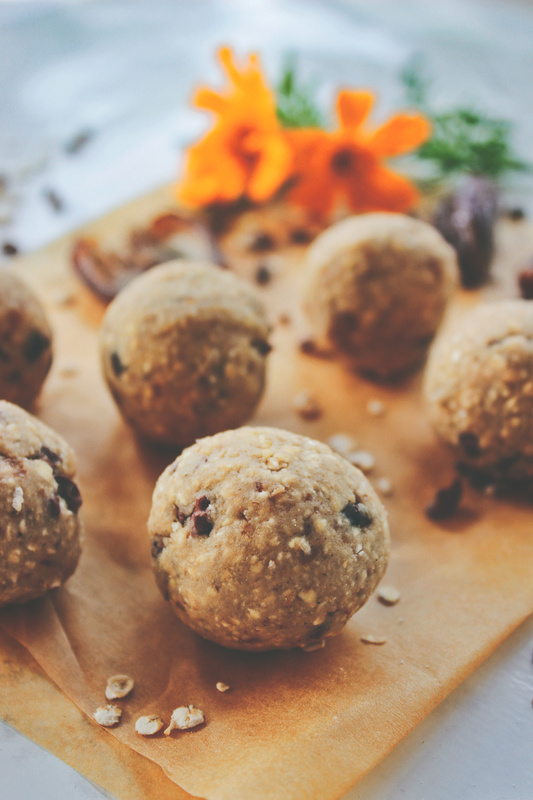 Store the cookie dough balls in an airtight container in the fridge for up to 5 day or in the freezer for up to 4 weeks, just let them sit at room temperature for a few minutes before biting into them. I use a carton of lima beans, it doesn't matter if you buy them cooked or cook them yourself, but if your lima beans aren't salted, I recommend adding a pinch of sea salt to the cookie dough. 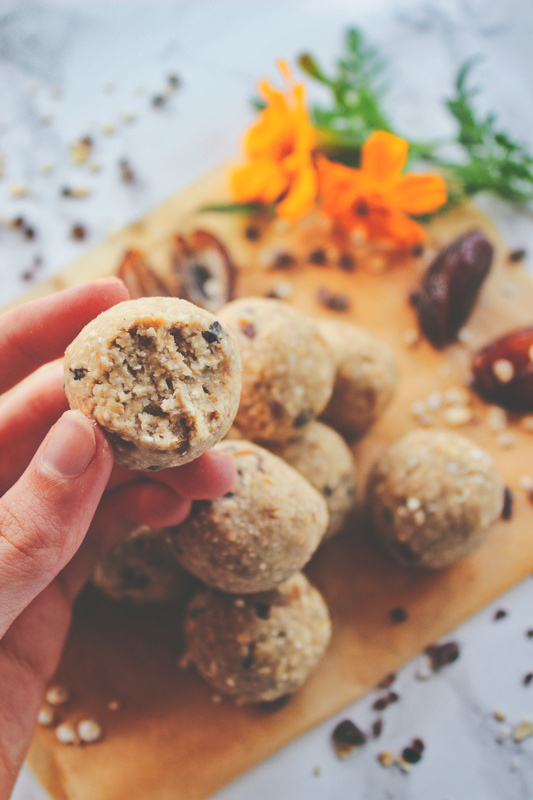 If you don't have oat flour, you can make it yourself. I blend oats into flour in my food processor before making the cookie dough. 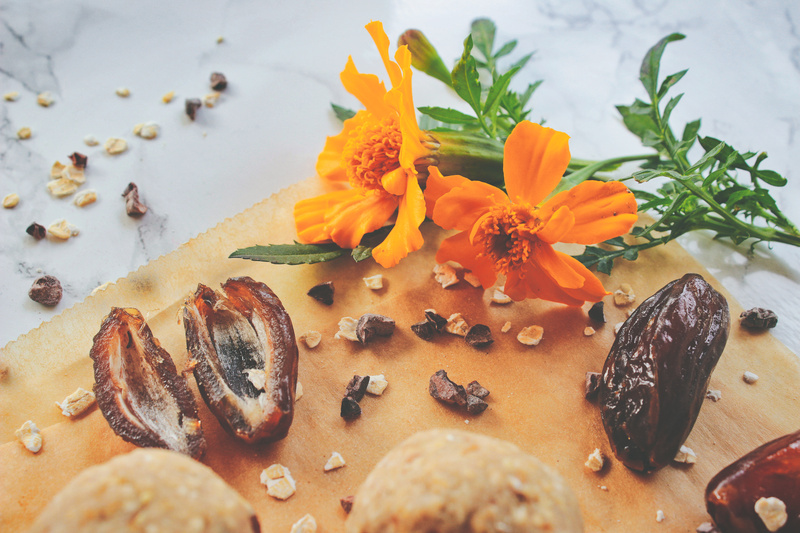 And if your dates are dry, soak them in hot water for 10 minutes before adding them to the cookie dough.